The Steering Committee (SC) of FELs of Europe (FoE) met in Trieste on 13 and 14 March 2018. 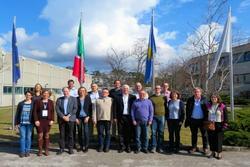 The meeting was held at Elettra, following the LEAPS General Assembly and Coordination Board meetings. Representatives of 12 FoE partners attended the SC meeting. Claudio Masciovecchio, Head of Scientific Programs of FERMI, opened the meeting with the welcome address and gave a brief overview of the most recent scientific highlights of the facility. At the meeting it was unanimously decided to extend the FoE collaboration, that started on 31st of May, 2012 by a second period for further 6 years. At the same time the integration of FoE activities within LEAPS, in the frame of the Strategy Group 2 – Free Electron Lasers, was extensively discussed and a first core group of members of the Strategy Group 2 was proposed and approved at the meeting. A review of the Appendix to the LEAPS Strategy 2030 document was undertaken during the meeting, allowing the delivery of a revised version of it in time for presentation few days after at the Sofia event. 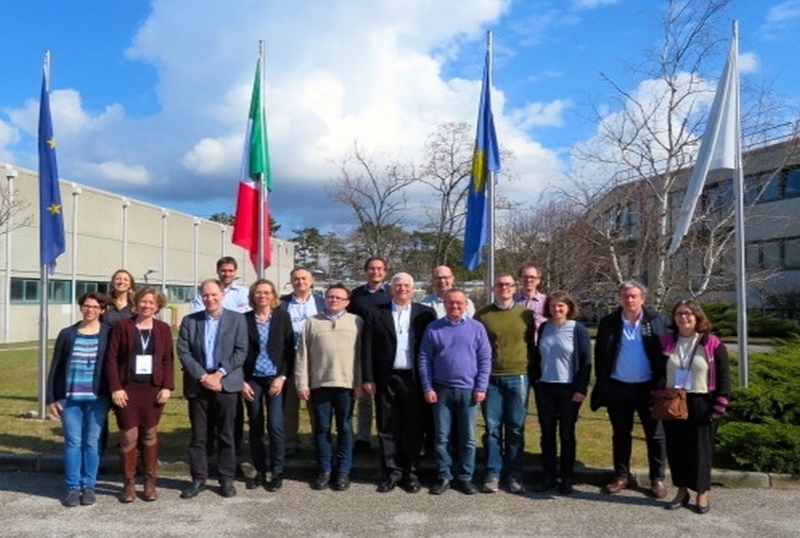 On the second day, special focus with dedicated presentations was given to a number of European initiatives and projects, as CALIPSOplus, EUCALL, Wayforlight, CompactLight, LASERLAB Europe and EUPRAXIA; possible connections and synergies with FoE were analyzed. A report on the organization of the FoE conferences and workshops in 2018 was given, namely the SCIENCE@FEL Conference end of June in Stockholm and the Photon Diagnostics workshop mid of September in Hamburg: the organization of both events, including satellite meetings, appears to be well on track. Finally the host and date for the next meeting of the FoE SC was agreed: it will be held at SOLEIL mid of October 2018.